Last month I took a break from the steadily-dropping temperatures of Upstate New York and headed west. Fellow NYFC staffer Kate Greenberg and I spent two weeks traveling around California, meeting with farmers and funders, presenting at the annual Land Trust Alliance Rally, and hosting two workshops – one for farmers and one for land trusts. Farmland in the United States is at a critical moment of transition—millions of acres will be changing hands in the next two decades. At the same time, land access is one of the biggest obstacles for young farmers. NYFC believes that land trusts have the potential to be powerful partners in ensuring this farmland remains available for farming and accessible to farmers for generations to come. For the past few years, the National Young Farmers Coalition has been working to bridge the gap between farmers and land trusts – providing education on the tools and strategies that are available to address the challenges of farmland protection and access. 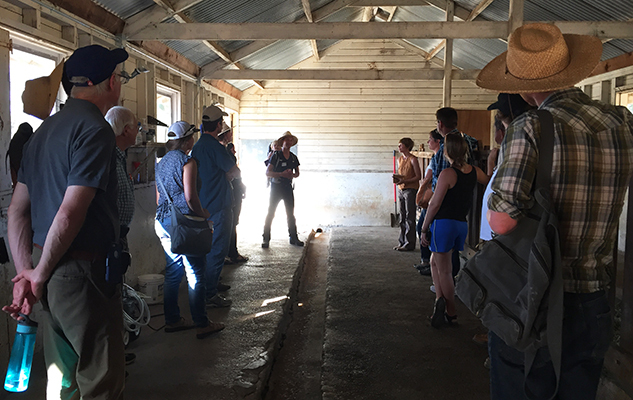 In California, we partnered with CA FarmLink and Equity Trust to present a four-hour workshop for farmers on the process of working with a land trust to access land. A few days later, we brought together over 45 land trust staff members, funders, and other individuals involved in farmland conservation for a full-day workshop in Sacramento. This was the second annual Land Access Innovations Training convened by the National Young Farmers Coalition and Equity Trust to bring together staff from some of the top agricultural land trusts in the country. Land trusts are non-profit 501(c)(3) organizations, often started by community members to protect specific resources, such as wildlife habitat, farmland, water quality, viewsheds, or habitat corridors that are at risk from development or damage. They range in size and capacity from all-volunteer, local groups to national organizations with offices in multiple states. 2. 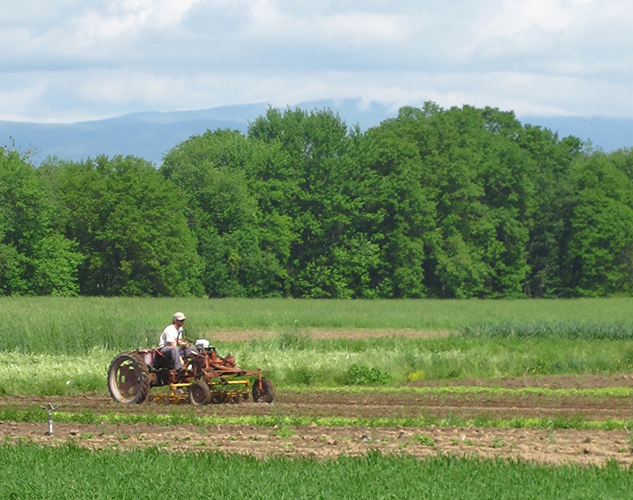 How can land trusts help farmers? Conservation easements are binding agreements in which the owner sells or donates a portion of their property rights, such as the right to develop on the land, to a land trust. On a farm property, the easement protects the land from development while still allowing farmers to generate an income off of the property. The value of the easement is the difference between the property’s original value and its value without the property right(s). This amount ranges substantially—from a small percentage to more than half of the property value. Selling an easement to a land trust can help you generate cash flow to purchase land, make infrastructure improvements, or buy equipment. Purchasing a farm that is already conserved can help you find good quality land at an affordable price. Some land trusts are using innovative easements to further protect farmland by stipulating that it must be kept in agricultural use or sold to a working farmer. In this scenario, if the property is not sold to a qualified farmer, the land trust has the option to step in and purchase it at agricultural value. These easements restrict more property rights, therefore providing greater initial compensation to landowners and helping to ensure that farmland remains accessible to farmers. Land trusts are typically very well connected to the local agricultural community and have a sense of when properties are for sale and how much they’re worth. A land trust might be able to help you find land to purchase and understand what a fair purchase price is. They can also help you network with local landowners. Some land trusts are protecting farmland by purchasing it and leasing or reselling it to young farmers. These lease agreements can be long-term with opportunities to build equity (called “ground leases”); short-term, such as incubator farm properties; or somewhere in between. Land trusts that sell properties to farmers typically issue a request for proposals and require that you go through an application process to be considered. Beyond protecting farmland and helping you access it, some land trusts offer additional services, such as educational workshops. 3. 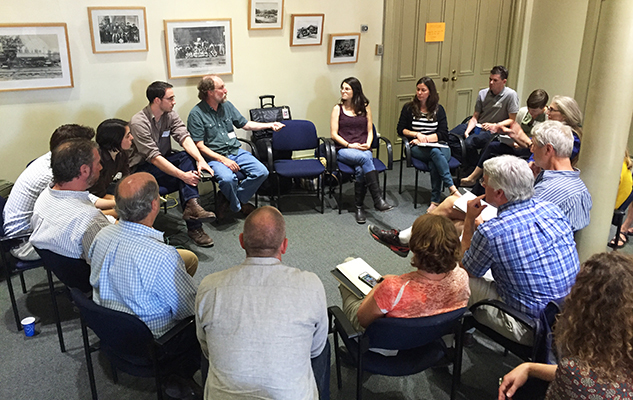 What should you think about before reaching out to a land trust? Before you enter into the process of working with a land trust, talk to advisors you trust. There are benefits and drawbacks of working with a land trust that will be specific to your situation. You can also draw on the experience of other organizations in your area that may have insights into the work of a potential land trust partner. Land for Good is one example of a New England-based organization that has extensive expertise on land access. A conservation easement, by nature, will constrain what you can do on the property in perpetuity. Try to think twenty years down the road and imagine what the decision will mean for you then. Throughout the process, be willing to be flexible and patient. Don’t automatically assume the land trust has money ready to spend on you and your land search. Be open to the fact that purchasing property might not be the best option for you and your business model. If you do decide that working with a land trust is the right option for you, being specific and knowing your goals is important for making a good impression. Having your financials in line, a personal story to tell, and specific goals will help you form a productive partnership with a land trust staff member. Making regular contact and following up throughout the process is also important. For more detailed information on this topic, refer to our guidebook, and check out Equity Trust and CA FarmLink’s resource pages. A big thank you to the sponsors of our farmer and land trust trainings: Cedar Tree Foundation, UNFI, Lydia B. Stokes Foundation, Russell Farm and Forest Conservation Foundation, and RSF Social Finance. Thank you to Lagunitas for donating the beer and the American River Conservancy for hosting us on their beautiful property, the Wakamatsu Farm!